Visit with representatives from many pregnancy, birth, parenting and baby related resources including doulas, midwives, massage therapists, fitness instructors, childbirth educators, lactation consultants, childcare providers, and photographers. Find out how to make the most of these valuable resources in the birthing and early parenting community. Golden Gate Chiropractic Center – A Family Empowerment Center that focuses on providing ease through familial transitions and increasing resilience to stress. AcuDoula – AcuDoula combines the skills of a licensed acupuncturist and certified doula. Inspired by traditional healing arts AcuDoula provides expecting mothers with complete care through pregnancy, delivery, and recovery. BABI Bay Area Birth Information – With the goal of reducing unnecessary birth interventions and improve breastfeeding, BABI provides evidence-based education, support, and resources. BellyFull Birth SF – BellyFull Birth offers birth classes that are evidence based, fun, and interactive. Combining informative classes with ancient yogic practices offers a broad lens to think about your pregnancy, your birth, and postpartum. Birth Therapy – Birth Therapy is a haven for moms providing prenatal, labor, & postpartum support. Blossom Birth Services – Through classes, workshops, support groups, and accessibility to community resources, Blossom is a non-profit that strives to support and inform expectant and new parents to raise healthy, secure children to create a strong community now and in the future. Carmel Blue – Carmel Blue is San Francisco parents’ premier resource for all things baby: prenatal classes, childbirth preparation and education, postnatal parenting support, and baby products. Golden Gate Doula Associates – The GGDA is an established doula practice in San Francisco. We understand the unpredictability of pregnancy and the importance of emotional and physical support. Deliver! Books – “Deliver! A Concise Guide to Helping the Woman you Love through Labor” is unique, practical and well reviewed labor support book. Natural Resources – A non-profit, community pregnancy, childbirth & early parenting resource center. Offering classes, products, rentals & support to growing families. Visit us for cloth diapers, breastfeeding consultations, sleep support & more. Newborn Connections @ CPMC – Newborn Connections @ CPMC promotes the health and well-being of expectant and new families through education, resources, and support, offering tours, classes, groups, lactation consultations, pump rentals, and products across San Francisco. Nightingale Birth Center – Giving birth with us feels less like a hospital experience, and more like being at home. Experience a safe, calm, peaceful birth in our beautiful birth rooms equipped with large, comfortable beds and deep birth pools. San Francisco Birth Center – San Francisco Birth Center offers comprehensive midwifery care in a safe home-like environment. As midwives, we believe that birth is a normal physiologic process. We trust in the innate wisdom of the body and honor pregnancy and birth as a powerful time of transition in a woman’s life. SF Birth Center is a comfortable place to bring your baby into the world under the gentle hands of experienced midwives. Sutter Health CPMC Newborn Connections – Sutter Health CPMC is here for you every step of the way, before, during and after your pregnancy. CPMC is voted #1 best hospital to have a baby in San Francisco. (Bay Area Parent Magazine, 2017). Bay Area Baby Squad – BABS offers doula services to help parents transition smoothly into their new role. Serving the entire bay area. Bare With Me: A mother-Daughter Doula Duo – Bare With Me: A Mother-Daughter Doula Duo provides in-depth, one-on-one childbirth education along with pregnancy, labor/birth, and postpartum support for the birthing person and their partner! Brilliant Births, LLC – Doula professionals who are focused on educated, inspired, empowered birth choices in the California Bay Area. Let us find the right doula for you! Doulahood – Doulahood was born with the intention of building continuity of care for new families among a community of closely connected doulas. Glue Families – An intimacy focused doula practice that specializes in compassionate care; implementing balance through Ayurveda and up-to-date modern parental practices. Navigating Postpartum – Navigating Postpartum offers an online postpartum preparedness program as well as a range of in-person services from home prep and postpartum planning to postpartum doula services, Mother Roasting, family photos, and parent & infant massage classes. Shari is CPR, AED and First Aid Certified for adults and infants through the American Red Cross and volunteers as a local coordinator for Postpartum Support International. SF Doula Group – San Francisco Doula Group is a collective of professional birth and postpartum doulas that serve the Bay Area. Soulful Passage – Doula serving families of the East Bay as a home birth Midwife’s Assistant, Childbirth Educator and Full spectrum Doula, with a commitment to providing reliable, respectful care that nurtures families through the phases of bringing forth new life. Syler Pregnancy & Family Planning – Inclusive, personalized pregnancy and family planning services for heterosexual and LGBTQ singles, couples and families. The Urban Homestead – Traditional birth and postpartum doula support for the modern family, supporting you in utilizing nutrition and non-toxic products to live deeply and fully! Traci Enis & Katelyn Davis Doula Practice – A full service doula practice serving Oakland, SF and the greater Bay Area. Trinity Night Doulas – Trinity Night Doulas is a collective of postpartum doulas who offer non-medical postpartum support. This includes maternal recovery, lactation and feeding support, newborn care, soothing techniques, family bonding, sleep training, and educational and community resources. Bay Area Intactivists – A Bay Area nonprofit (501 © 3) corporation supporting and informing parents with information about circumcision. Getzwell Pediatrics – GetzWell Pediatrics offers an integrative approach to health care based on modern western medicine as well as nutrition, functional medicine, and developmental psychology. We take the time to understand your child’s unique needs in the context of the family and environment. Happy Baby Signs – Helping parents live with more joy by illuminating new ways to nurture, communicate, and bond with their baby using American Sign language. Jewish Baby Network SF – Jewish Baby Network connects Bay Area families with little ones to each other and to Jewish Community. Newborn Connections – Newborn Connections is the go-to resource for evidence-based information on pregnancy, childbirth, and breastfeeding. Providing education, lactation support, and well chosen products for expectant and new parents. SF Night Doulas – San Francisco Night Doulas is a co-op of night postpartum doulas who assist and support parents and families throughout the night. Skadoosie® – Skadoosie® is Parents Magazine 2018 Editors Pick & has The National Parenting Center Seal of Approval for redesigning the infant bodysuit with NO SNAPS! or Overhead Application. Tiny Tots –Tiny Tots is a family-owned small business offering convenient home pick up and delivery of cotton and compost diapers in the SF Bay Area since 1966. AuPaireCare – The premier au pair agency, dedicated to matching families in the United States with international au pairs who provide live-in childcare and bring the world into your home. AuPairCare is there for you every step of the way. 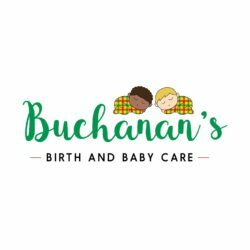 Buchanan’s Birth and Babycare – A Nanny Agency providing assistance to families in finding a Birth Doula, a Post Partum Doula/ Newborn Care Specialist and then a Nanny for the return back to work. Supporting the whole family from the Birth of Baby until return back to work. Buchanan’s is family orientated, supporting all families regardless culture/ diversity and all family structures. Child Care Coordinating Council of San Mateo County – For over 40 years, 4Cs has been the trusted resource for child care and preschool needs for parents living and working in San Mateo County. 4Cs supports the county’s 1,000 licensed child care providers and preschool programs, investing in professional development and improving program quality. Children’s Council Of San Francisco – Finding child care can be a challenge. Children’s Council is here to help you find child care that meets your family’s needs. Cultural Care Aupair – Aupair Concierge brings families affordable and flexible childcare options. Golden Gate Nannies – Golden Gate Nannies is a boutique childcare placement agency. We connect bay area families with experienced nannies! UrbanSitter – Looking for a new and better way to book babysitters? Try UrbanSitter! Founded by four busy parents, UrbanSitter is an online resource to find sitters recommended by people you know—so you feel secure in hiring someone you trust. Abbott Labs/ Similac – Abbott Nutrition is dedicated to fulfilling the promise of human potential. Beech-Nut – Beech-Nut baby food is a complete line of classic, natural and organic real food for babies and toddlers, inspired by homemade recipes. Eepples – Eepples, makers of simple, innovative products designed to help you easily label, track, and organize your breast milk supply. Farm Fresh To You – Farm Fresh To You delivers high quality organic produce fresh from the Community Supported Agriculture (CSA) farm to your doorstep. This convenient service promotes healthy eating and sustainable agriculture. Happy Family – Beginning with baby’s first few years of life, Happy Family Organics offers an extensive line of nutritious foods for babies, toddlers, kids and their mothers. Henry’s Hungry – Henry’s Hungry provides concierge services for parents including consultations focused on introducing solids, baby food training and personal chef services for infants. Hint Water – Hint is pure water + a splash of natural fruit. 0 calories, 0 sugar, 0 diet sweeteners, 0 fake! KIND – There’s healthy. There’s tasty. Then there’s healthy and tasty. KIND believes you deserve both. What began with just 8 bar varieties in 2004 has grown to over 22 bars and 6 Healthy Grains snackable clusters. Milk Cookies LLC – Ready-to-Bake lactation cookie dough and mixes for busy, nursing moms. Mrs. Patel’s – Mrs. Patel’s makes handcrafted, all-natural, Ayurvedic foods supporting pregnancy, lactation and life. They make good food for strong women. Baby Boot Camp – Baby Boot Camp is an innovative stroller fitness program that helps moms regain or enhance pre-pregnancy fitness levels and meet the physical challenges of parenting by emphasizing strength training in a supportive environment. Golden Gate Mother’s Group – GGMG is a mothers group in San Francisco. Founded in 1996 by a group of San Francisco moms, it is a volunteer-run organization who work hard to support each other. Good Medicine Co. – Good Medicine Co. creates functional foods designed to delight the taste buds and to support specific health needs. Learn more at www.thegoodmedicinecompany.com. Kissera – Subscription box for moms to be and new moms. The LUNA Method – A smart, evidence based fitness + wellness methodology expertly designed to support the modern woman & mama through all stages of motherhood. Mary Kay Cosmetics – Skin care for all the seasons of your life, sun protection, glamour, body care and fragrances. San Francisco Moms Blog – San Francisco Moms Blog is a community of local moms where we support, share ideas, give back, and embrace living in the San Francisco area. Savage Wellness – Savage Wellness and our S.Well Moms Course are here to help mamas re-learn how to prioritize their needs and their health in a way that feels awesome and sustainable. We learn to speak kindly to ourselves and focus on making small healthy choices that, together, have a huge impact on our health and happiness. Savvy Every Day – Savvy Every Day is a lifestyle site for expecting parents with kiddos under age 8. Creator of Navigating Parenthood, digital education courses, for parents. The first course (Your Postpartum Journey) begins enrollment Nov. 30! STRONGMom App – STRONGMom App is the ultimate fitness app for moms. It includes over 100 exercises for pre-pregnancy, pregnancy, and postpartum. Adele Thompson Sleep Consulting – Working with families of young children to bring sleep back to the family home through personalized sleep plans and individual coaching. DayOne Baby, LLC – DayOne Baby is a retail store in Laurel Heights. Supporting new families at home and in the workplace through classes, workshops, products, and corporate lactation programs. Helping Babies Sleep – Empowering tired parents to teach their babies and toddlers to sleep via an online DIY online course, personalized one to one consultations or in home personal service. Kinspace – Your modern parenting village. Kinspace’s mission is to provide parents with the resources, education, and community that they need to thrive. Moorea Malatt– Moorea Malatt is a lactation counselor and parent educator on gentle sleep learning, gentle discipline and potty learning. Her site offers online courses and informative articles geared toward mindful progressive parents. Nursing Mothers Counsel, Inc. – Breastfeeding support by phone, home visits, free prenatal classes by highly-trained volunteer counselors who have also breastfed. Safety Training Seminars – Safety Training Seminars provides official American Heart Association infant and child CPR and first-aid training courses throughout the San Francisco Bay Area. Savvy Every Day – Savvy Every Day — The Lifestyle Site For Parents — Shares everything from travel to health, autos, birthing, babywearing, home decor, and fashion with the parent and a healthy Earth in mind. The Prepared Parent – The Prepared Parent offers postpartum classes and free support groups to expectant parents to help support the transition into postpartum. Winnie – Winnie helps parents get information and find great places to go with their kids. ArtKlozetPhotography – Art Klozet Photography is a boutique studio that offers contemporary and artful custom designed portraits in my studio or your home. Audrey Spear Photography – Audrey Spear Photography is a maternity, newborn, baby, child and family photographer who travels throughout Sonoma County, Marin County, and the Bay Area. Beauty and the Cutie Portrait – Photography studio in Burlingame specializing in children , family and maternity portrait. Both in-studio and on-location photo sessions are available. Constance Chu Photography – Constance Chu Photography is based in the SF Bay Area and specializes in child and family portrait photography. Emily Jenks Photography – San Francisco based family photographer. Couples, Maternity, Fresh 48, Newborn, and Family Photography. Dekker Photography – Dekker Photography is a high end studio photographing in an original, artistic, and natural way, and creating heirlooms that will become a part of you and your family’s history. Jennifer Maesen Photography – Jennifer Maesen Photography specializes in fun, natural and artistic sessions for kids of all ages, families and couples. Larkin Small Photography – Maternity and newborn photography for documenting beautiful, candid images of your family, creating art for your home. L. Bishop Photography – L. Bishop Photography specializes in newborn and family photography. Lindsay turns real family moments into art for you to cherish for the rest of your life. Limoo Photography – Specializing in maternity, newborn, baby, and one year old cake smash photography; Limoo provides premium fine art photography services in the comfort of your home. Nancy Alcott Photography – Best of the bay child photographer winner 2011, 2012 + 2013, Nancy Alcott specializes in highly stylized newborn posing and baby + child photography. Resplendent Photography – Resplendent Photography offers unique portrait and lifestyle photography services in the San Francisco Bay Area. Specializes in capturing images that are rich with emotion, artistry, and playfulness. SchnuckiStudio – Portraits last forever – create a legacy for your and your loved ones with maternity, newborn and family portraits. Shefali Parekh –Shefali Parekh is a San Francisco Bay Area lifestyle photographer specializing in modern newborn, maternity and family photography. Xilo Photography – Kati is a documentary-style Family & Newborn photographer. Her work honors the small, everyday moments that define both the power and beauty of humanity. 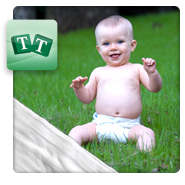 BabyNoggin – Developmental tracking app approved by pediatricians to offer parents a peace of mind. Life West Health Center – Since 1981, the Life West Health Center has been the Bay Area’s premier chiropractic teaching and patient care facility. The Health Center provides convenient, quality, affordable chiropractic care. Dance With Life Chiropractic – Through gentle, hands-on care, Dance With Life Chiropractic helps moms and families experience pregnancy and birth with confidence and ease by alleviating pain and restoring balance. Golden Gate Chiropractic Center – A family wellness center dedicated to helping people experience more life per moment. Their number one priority is helping mothers through this joyous transition in life. Pure Haven – Empowering families to choose the healthiest lifestyle possible by educating consumers how to avoid toxins in your personal and home care products. San Francisco Family Chiropractic – Dr. Nadia Fakhoury is a Chiropractor specializing in prenatal, postnatal, and pediatric health. Dr. Nadia is Webster Certified – a technique to encourage optimal fetal positioning. The Balanced Atlas – No C-Sections in 13 years! We keep moms balanced and aligned, so they deliver naturally. If babies could talk, they’d ask for Dr. Harrison! JAMaROO Kids – JAMaROO Kids has been specializing in dance, music, yoga and art classes for young children since 2004. At their San Francisco Studio families can participate in weekly classes, events and open play. La Petite Baleen Swim Schools – Year-round, privately-owned, indoor swim lessons for ages 2 months and up. Award-winning, child development-based curriculum. Free lessons for infants 2-6 months. Pearachute – Pearachute is a website that helps families find and book kids activities. Pearachute has everything from swimming to soccer to music all in one place. Adele Thompson Sleep Consulting – Pediatric sleep coach working with families to establish a healthy sleep foundation for their children through personalized plans and support. AMAG/Cord Blood Registry – Cord Blood Registry is the leading provider of family banking for newborn stem cells from umiblical cord blood and umbilical cord tissue. Beep! Beep! Car seat & baby proofing – San Francisco Bay Area premiere car seat education and installation, and now, baby proofing! Evercord: Newborn stem cell banking powered by Natera – Evercord is powered by a partnership between Natera, a leader in non-invasive genetic testing, and bloodworks one of the top cord blood banking laboratories in the country. Together we provide your family with simple and reliable services so that you can have the ultimate peace of mind when it comes to storing your baby’s cord blood and cord tissue. La Petite Baleen Swim Schools – Year-round swim lessons for all ages! One Less Thing – One Less Thing connects busy families with skilled college students who are looking for part-time work and one-off jobs. New York Life – Dedicated to working with new and families with young children to make sure they are properly protected with life and disability protection and education planning. Nursing Mothers Counsel –Nursing Mothers Counsel is a non-profit organization who provides FREE breastfeeding support and education to help support the goals of mothers and families. Pacific Fertility Center – Pacific Fertility Center provides fertility preservations (egg freezing) and IVF services. Suckle and Buckle – Car seat installation and breastfeeding support. Sustainability Concierge – Sustainability Concierge is your personal guide to a greener home. Most people would like to be more green and toxic-free but need a little help. The Nest Hypnotherapy – Hypnotherapy for expectant parents, birth and families. Like meditation, hypnotherapy accesses the subconscious mind to create the foundations of a healthy spirit, mind and body.